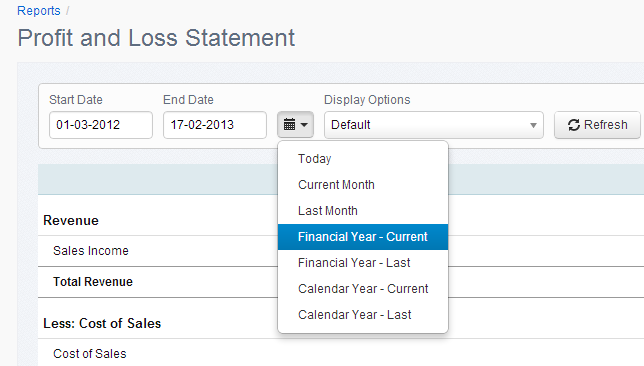 An easy-to-use date selector has now been added to all reports and filters throughout AccountsPortal. The available options will differ depending on whether the report has one or two date fields. They will also take into account your organisation's Financial Year, which is specified in the Financial Settings.